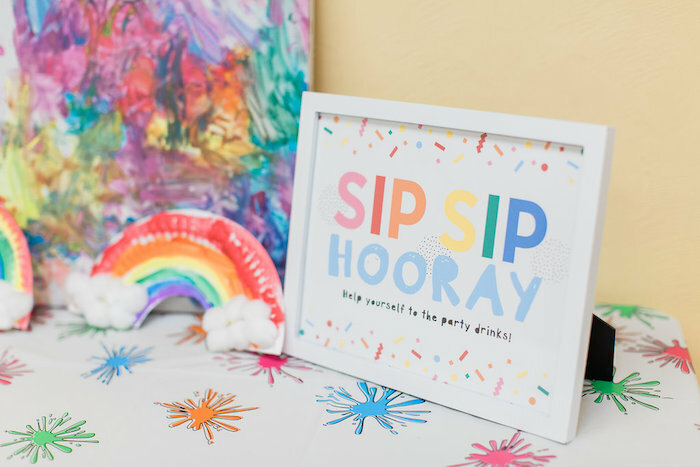 Color, splatter, draw and paint, this Colorful Art Party by BeckyHart of Event Crush, out of Eugene, OR, USA, is so cute, it’ll make you faint! 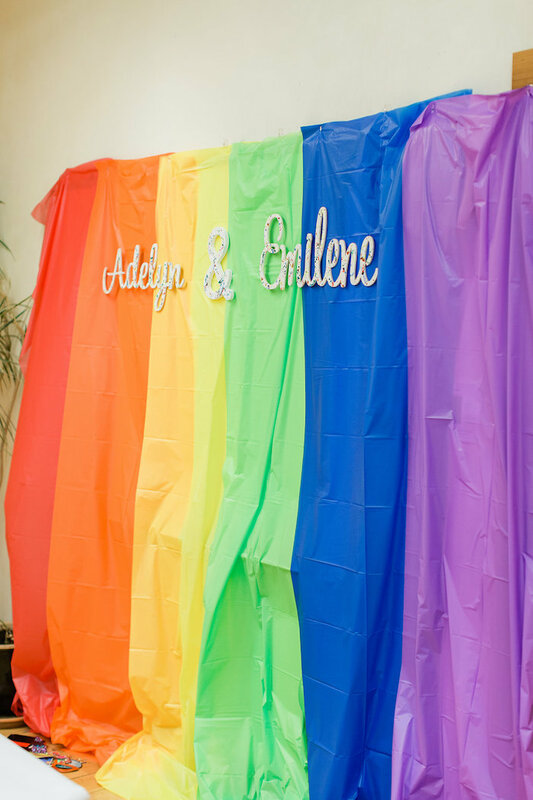 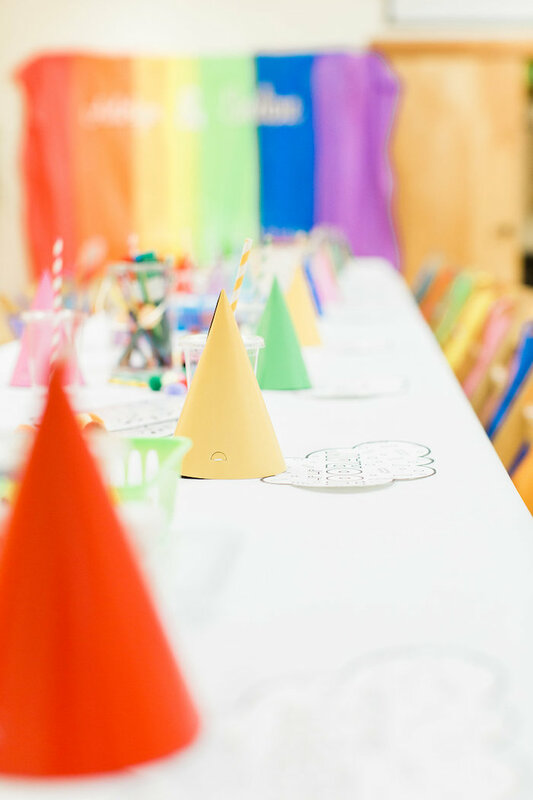 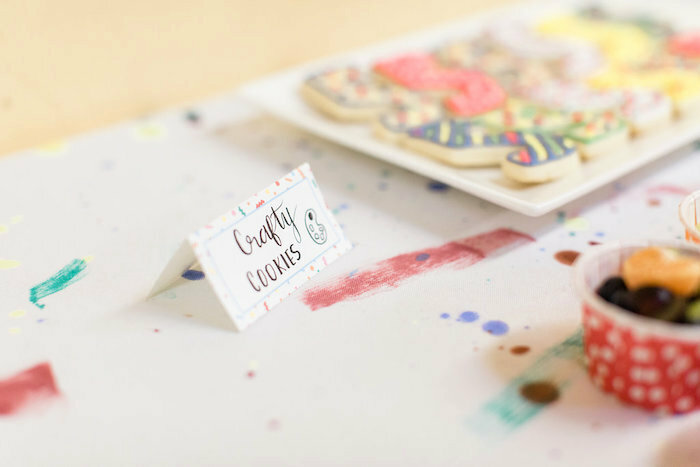 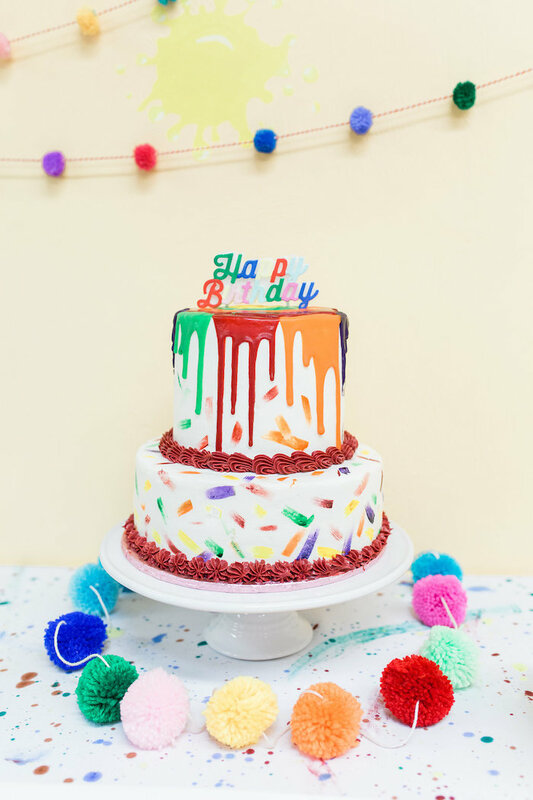 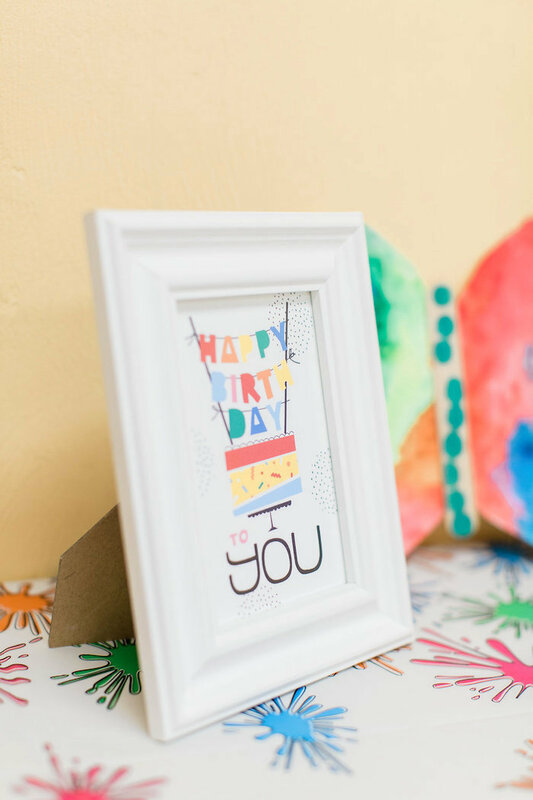 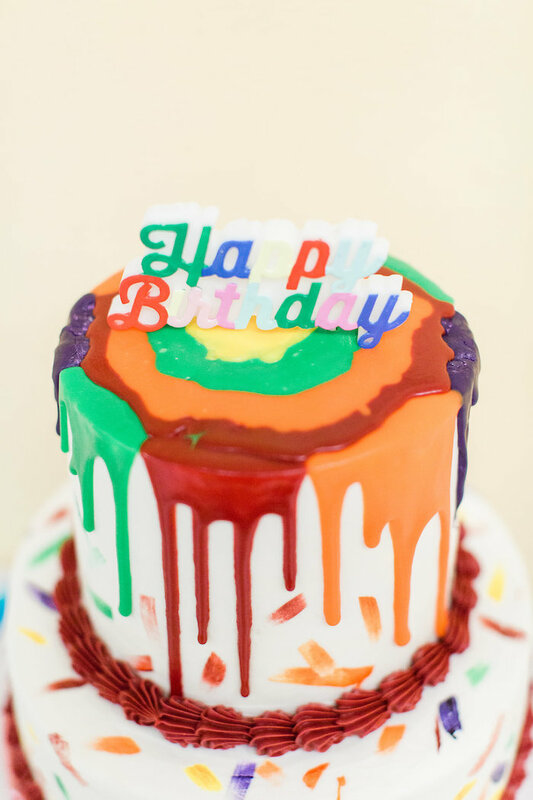 Splattered with details colorful and fun, this birthday bash is an exciting one! 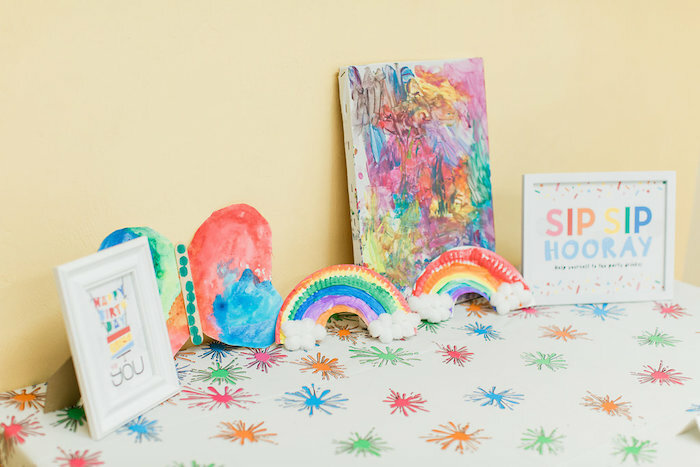 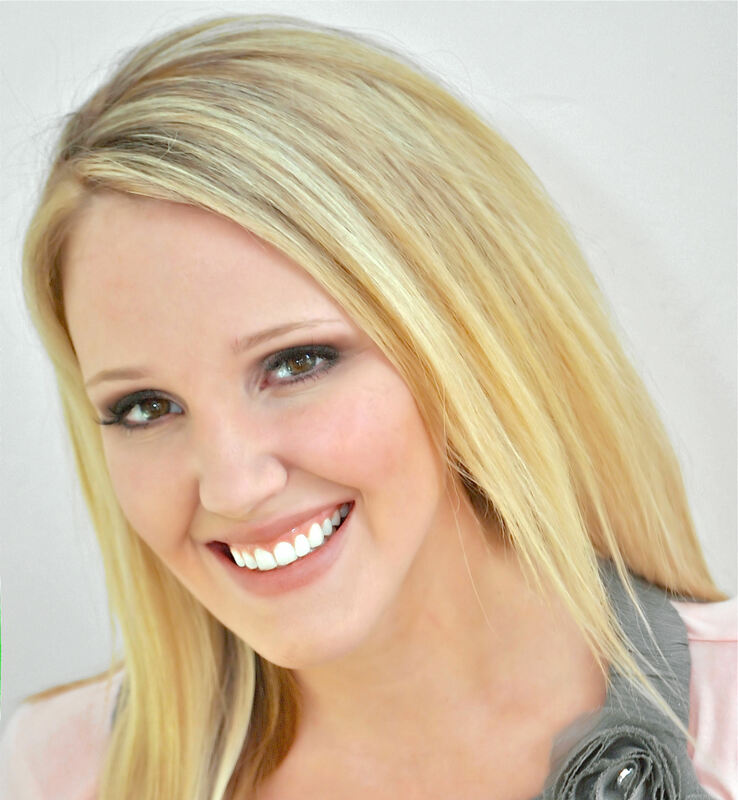 “My daughters absolutely love art projects. 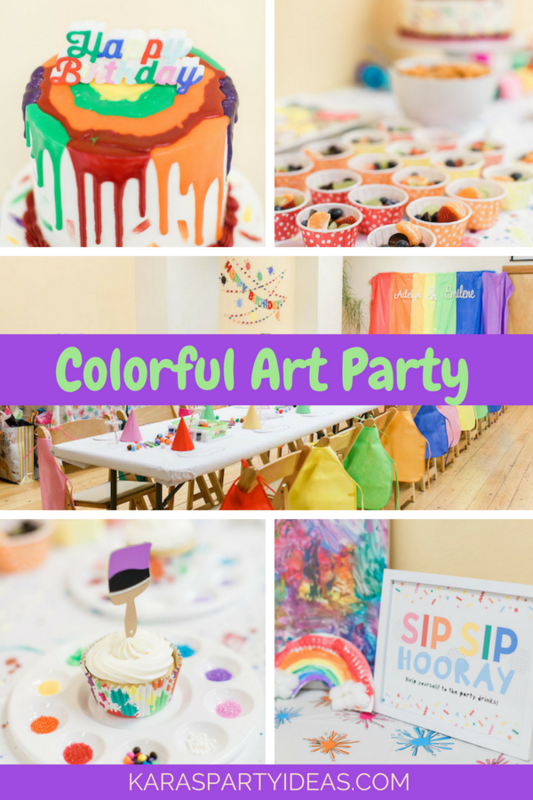 So for their joint party this year, we decided to throw a super fun, colorful, art and painting party. 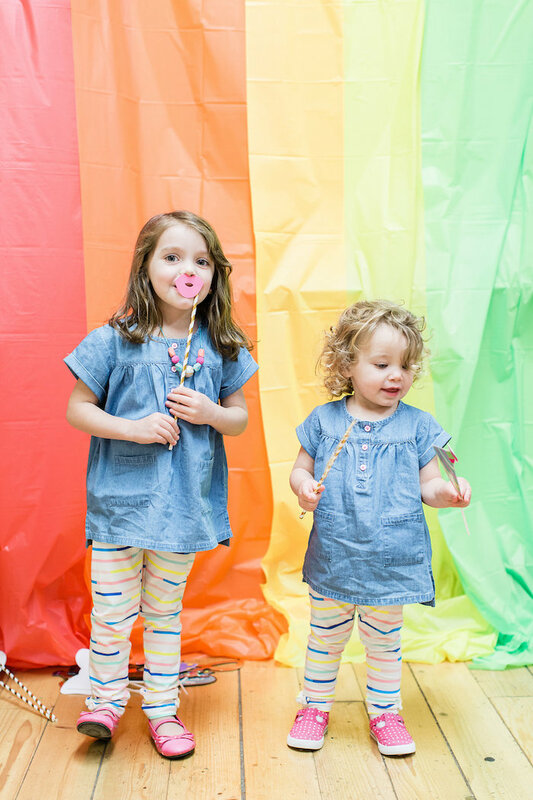 All to celebrate them turning 2 and 5. 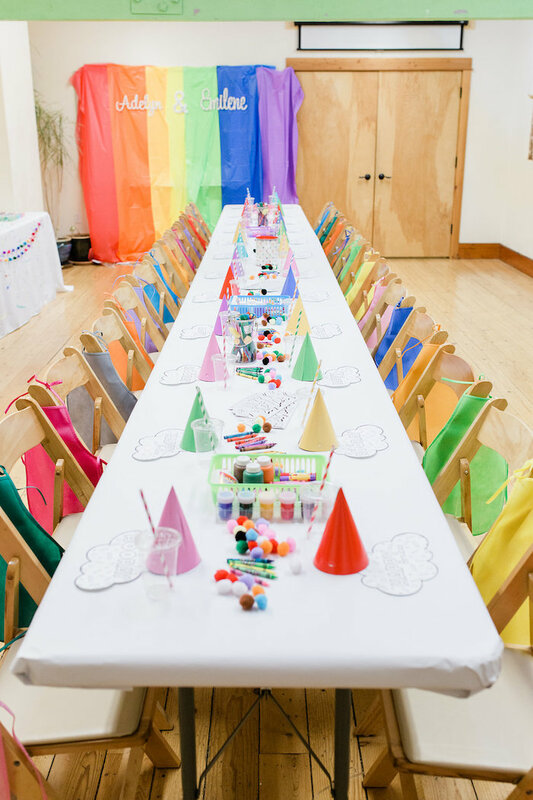 The space we used for this wasn’t super large, so I decided to have a long table for the kids going down the middle of the room, and chairs for the parents along the outside of the room. 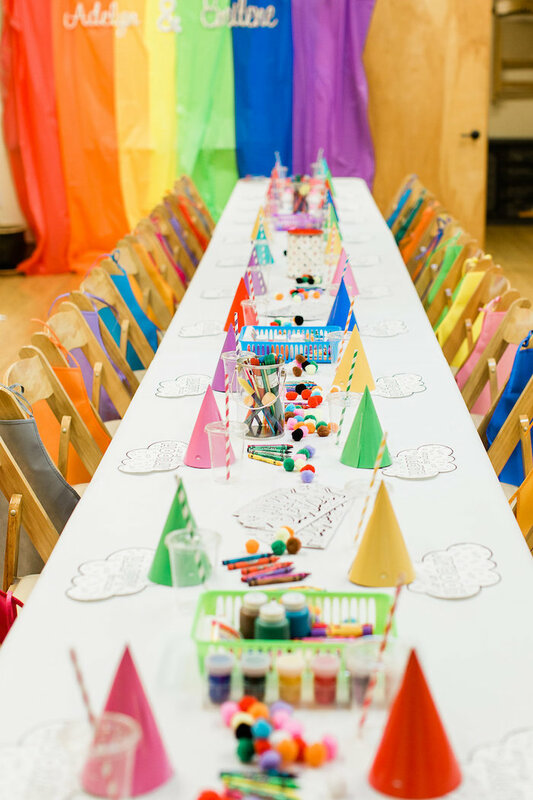 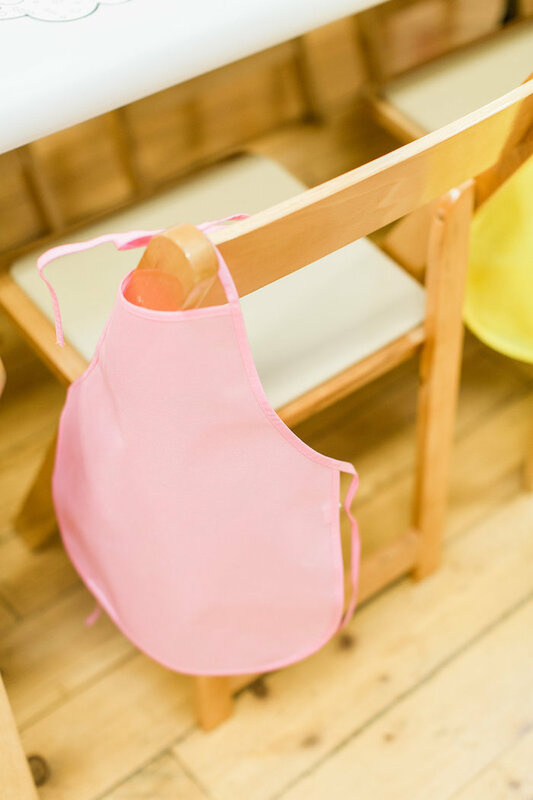 At the kids table, we had coloring place mats, party hats, aprons for each child, along with plenty of crayons/paint/paint brushes/pom poms/glitter pens, and all sorts of fun art supplies down the center of the table. 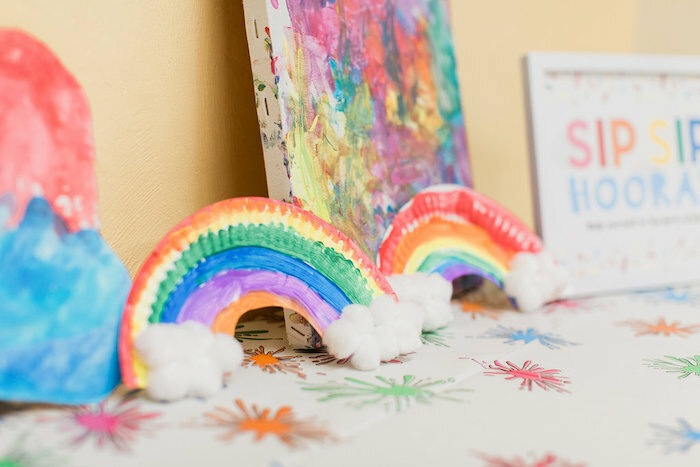 For the main craft, I had cut white paper plates in half ahead of time, and the kids used paints and pom poms to turn them into cute rainbows. 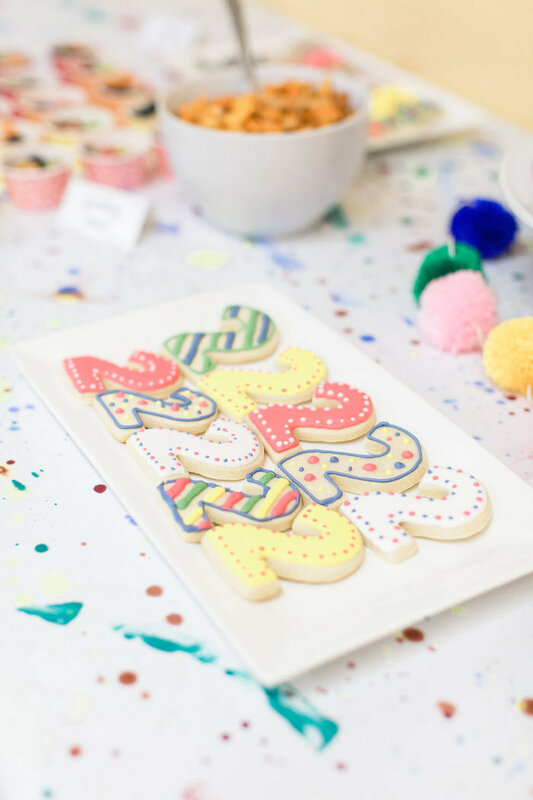 For party food, I made sugar cookies (shout out to the Alison Show for her wonderful cookie and royal icing recipe) in 2s and 5s and decorated them with the party colors. 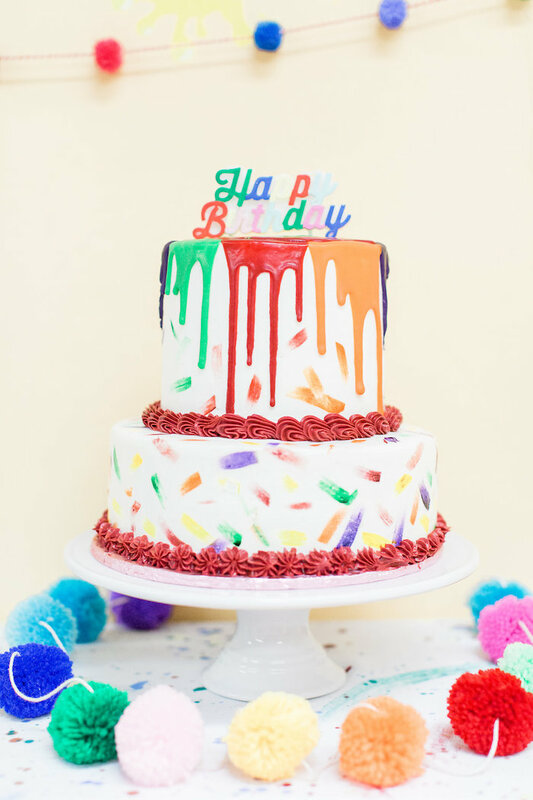 Shelly with Soft Peaks Cakery created a beautiful paint-drip cake, and perhaps the biggest hit of the day was the “decorate your own cupcakes” that we set up using paint palettes and sprinkles in every color of the rainbow, with a vanilla cupcake in the middle. 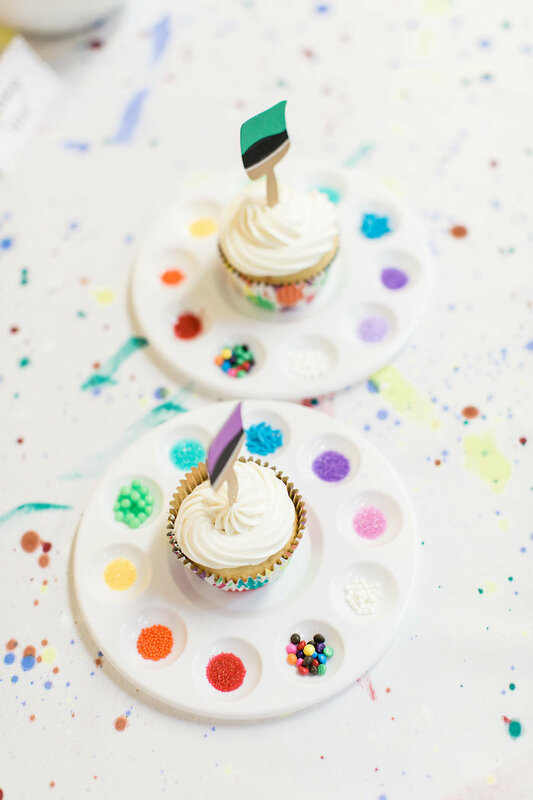 Kids used the sprinkles to decorate their cupcake, and then of course ate their own work of art. 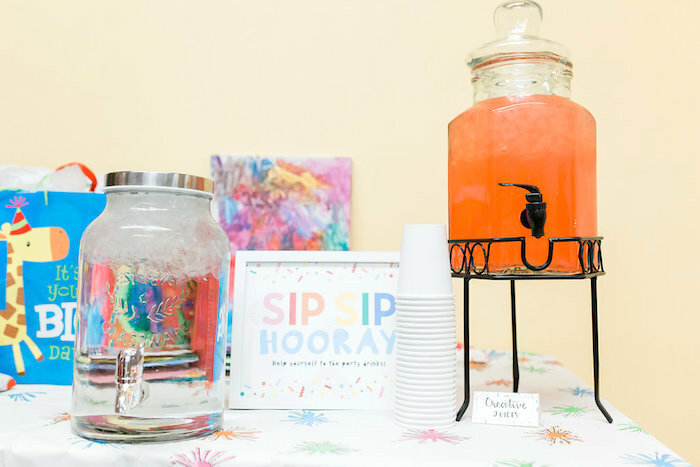 I also ordered rainbow fruit cups from shopsweetlulu.com and filled them with colorful fruit for the kids to enjoy, and we had strawberry lemonade as the “creative juices”. 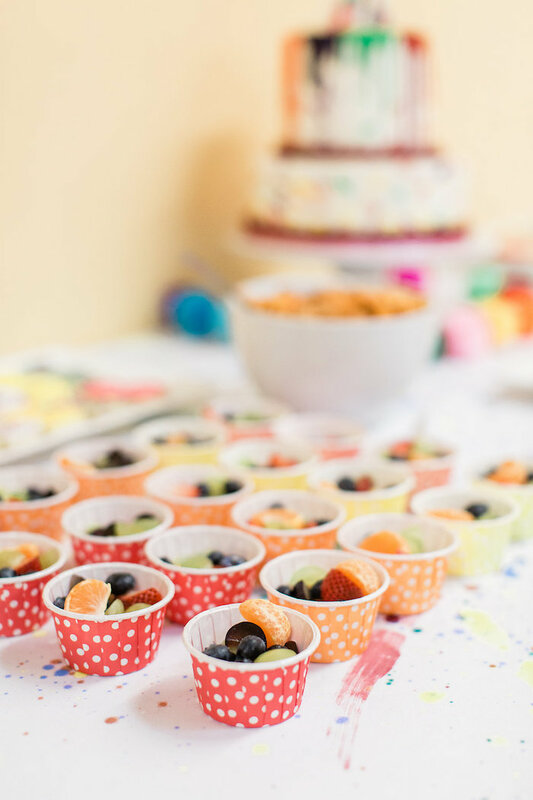 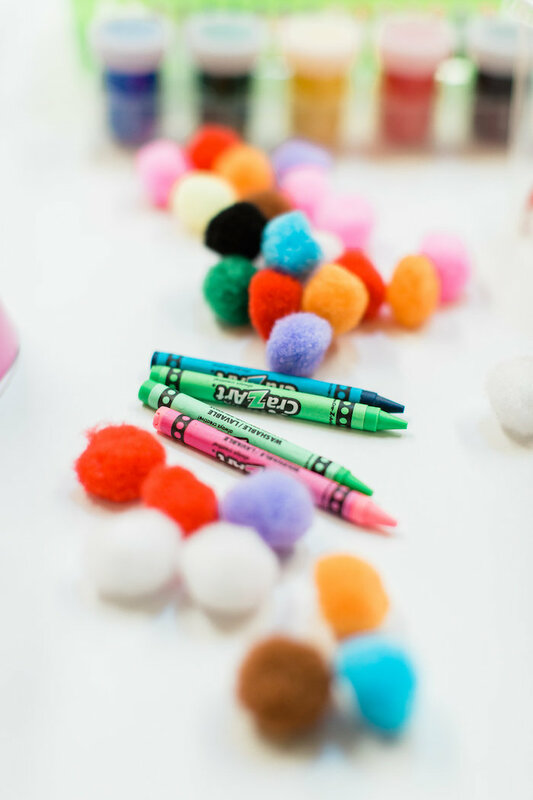 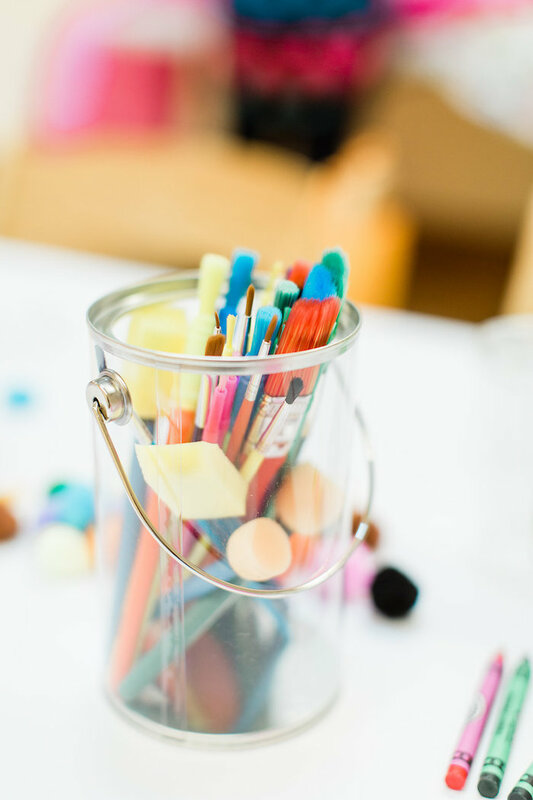 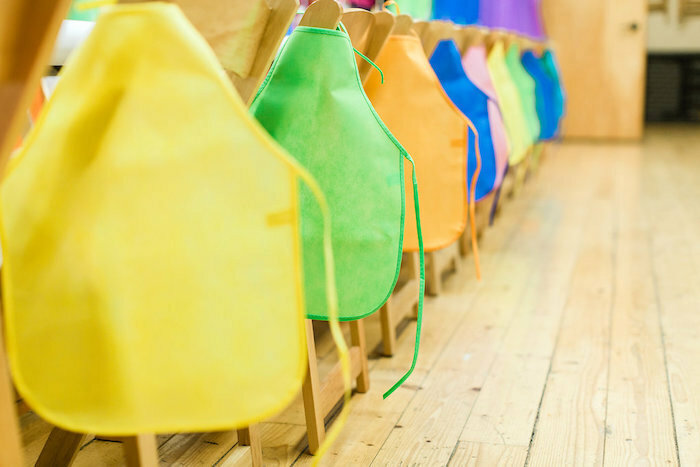 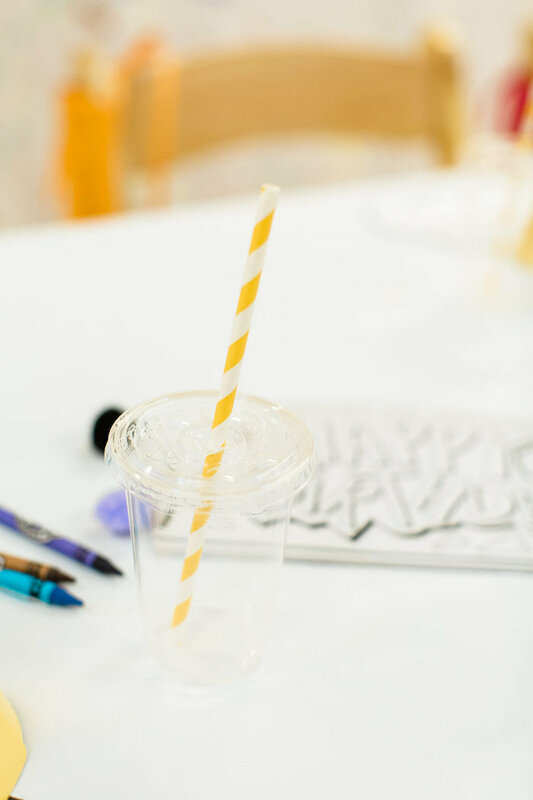 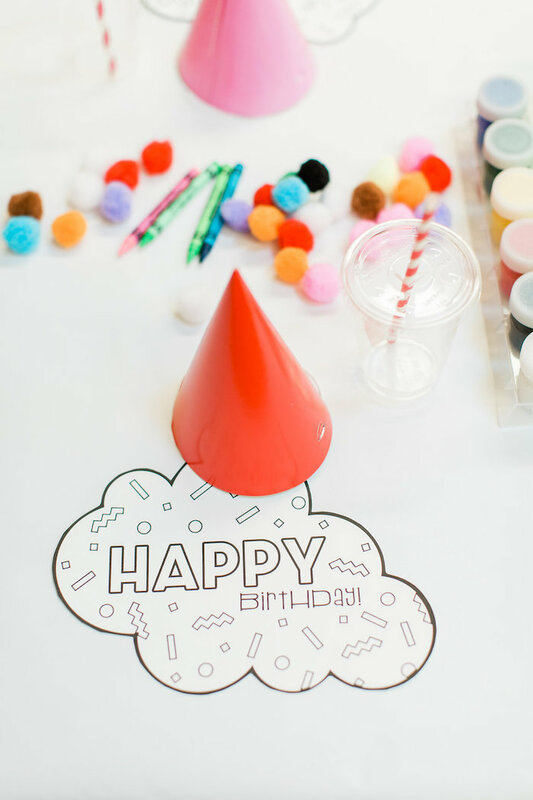 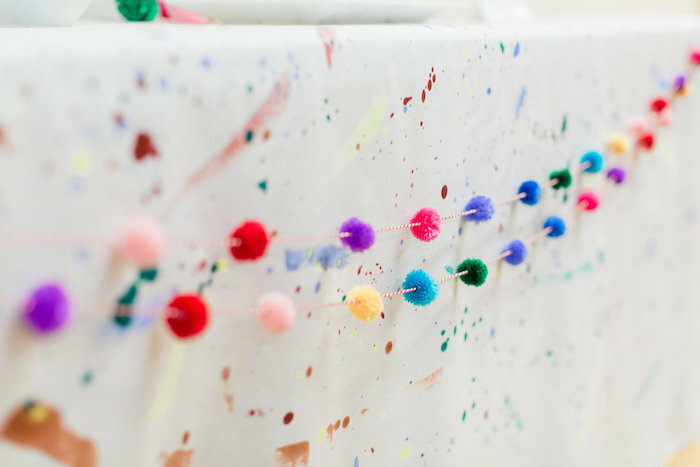 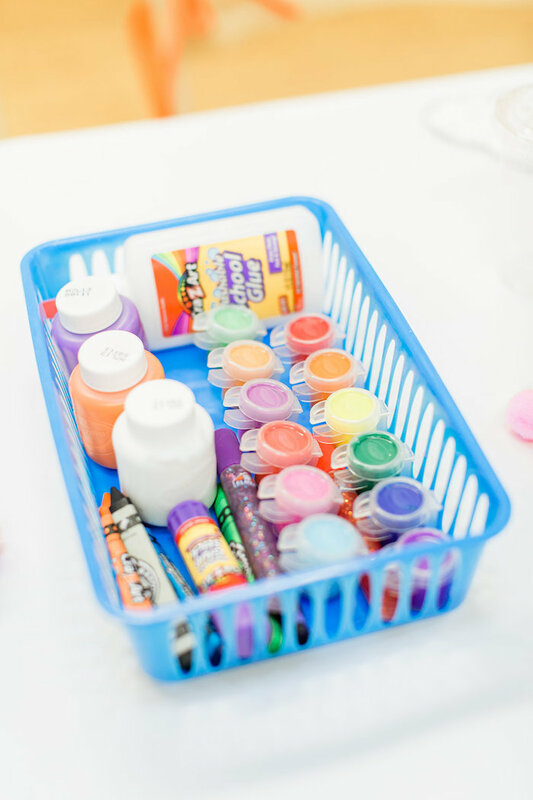 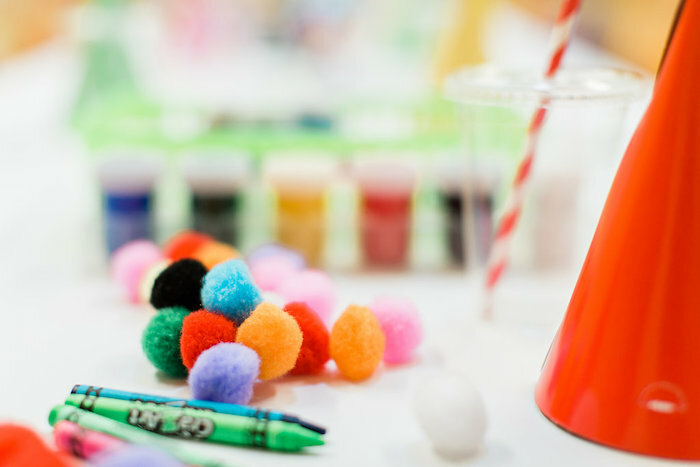 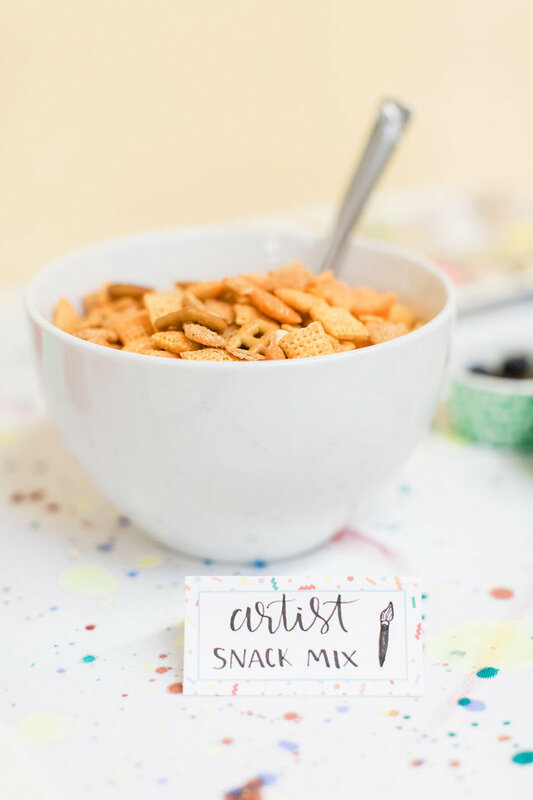 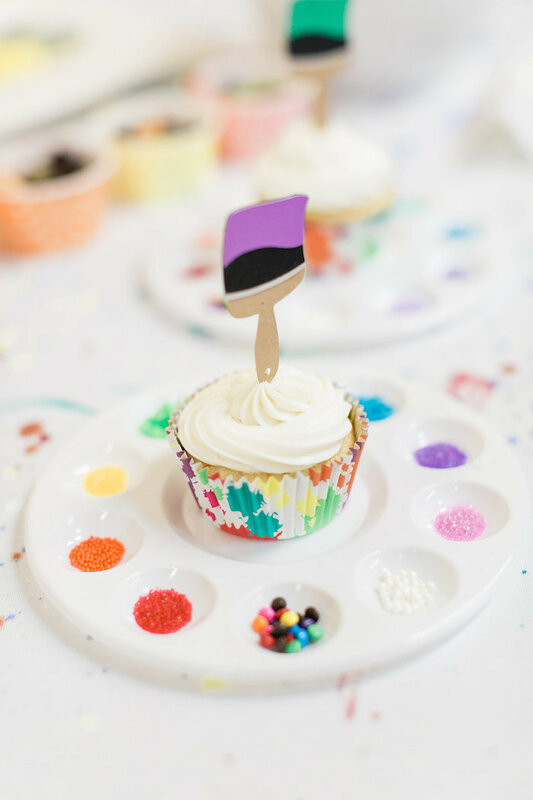 See a collection of art party ideas here! 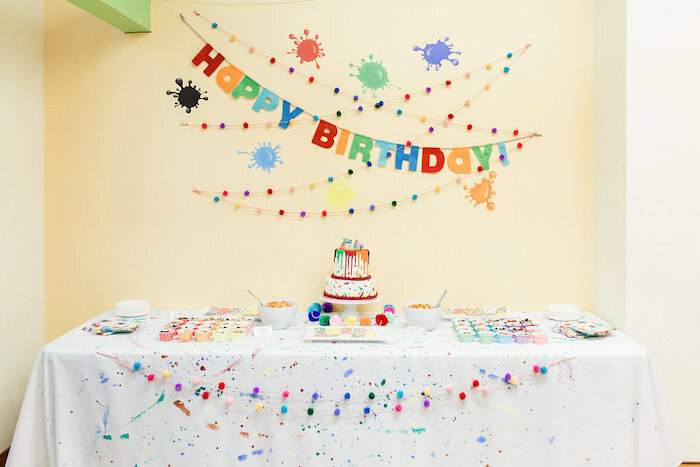 It will be my nephew’s birthday soon and he likes art, so, his mom thought of throwing an art party. 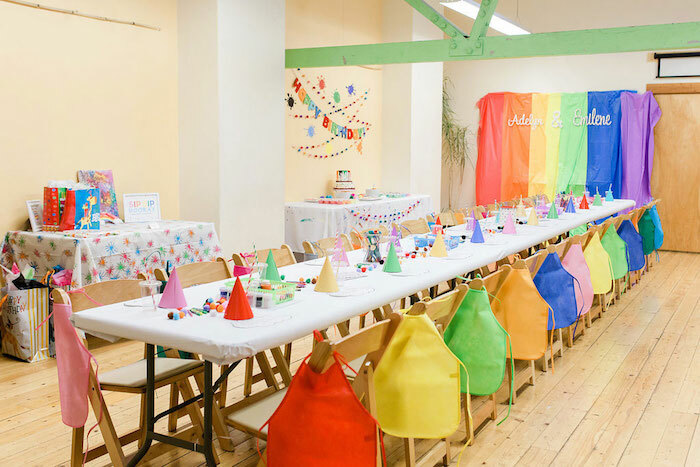 It was discussed here that there could be a project fun for the party wherein kids will be making art. 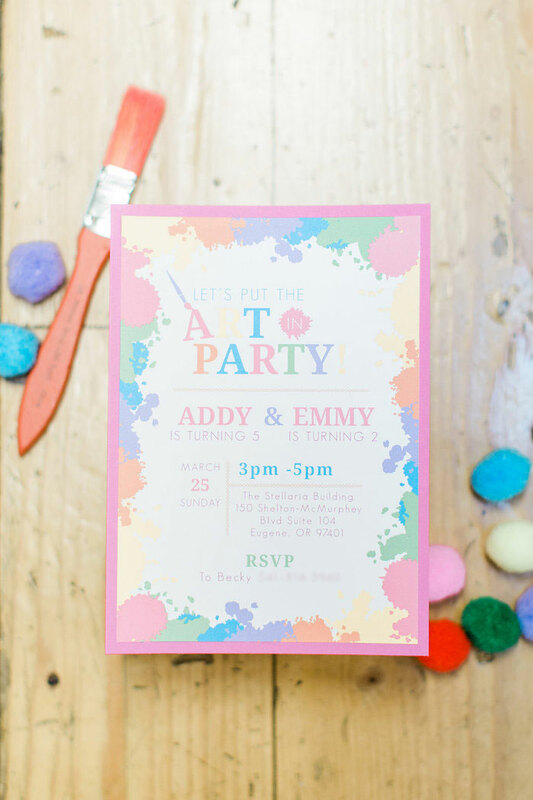 Furthermore, it’s best to consult professionals when planning to have an art party.